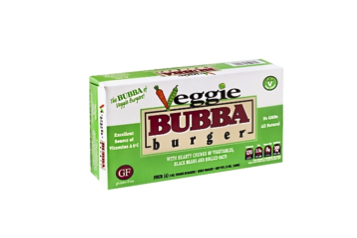 I am a huge fan of veggie burgers and these Bubba Veggie Burgers are a great option. I recently tried these an wanted to share my Bubba Veggie Burgers review. Over the last year, my husband and I turn to these when we want a quick but delicious meal. 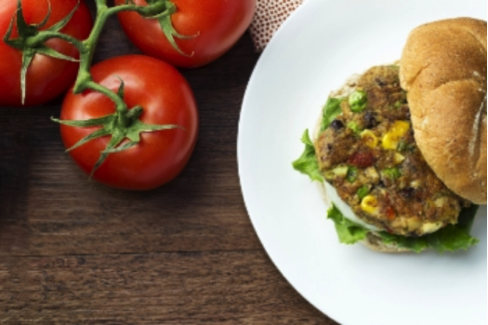 There are so many options out there for different types of veggie burgers. Also, I take one for lunch at work a few days per week over a salad or roasted/grilled vegetables. I recently heard about BUBBA burger®. They are a brand that sells both meat and now offer veggie burgers. The veggie burgers are made with black beans and a bunch of vegetables. They are gluten-free, vegan, multi-grain and a good source of fiber. Also, you can cook these right from a frozen state meaning that you do not have to defrost them first. 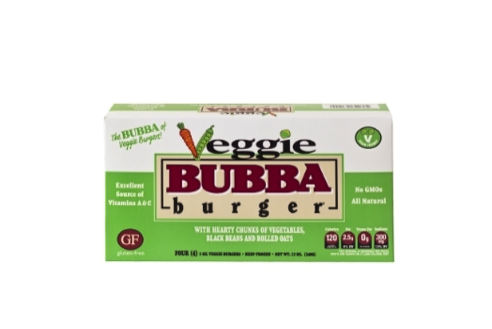 My review of these veggie Bubba burgers: We do eat meat but many of our meals are vegetarian. I like to reduce meat in my diet to reduce saturated fat and cholesterol, help the environment and to be able to include more nutrient rich foods in my diet. I look forward to trying these! I would throw them on the grill and serve with my favorite burger toppings including tomatoes, lettuce, onions, pickles and mustard. These look awesome! They contain celery, bell peppers, apples, carrots, broccoli, corn, edamame and green peas- yum!